POSTSCRIPTS: Some things never change, including bad driving. What can change, is how you react to it. I’M DELIGHTED TO report that civility and sanity now prevail on roadways across Western Washington. I can’t take all the credit, of course. 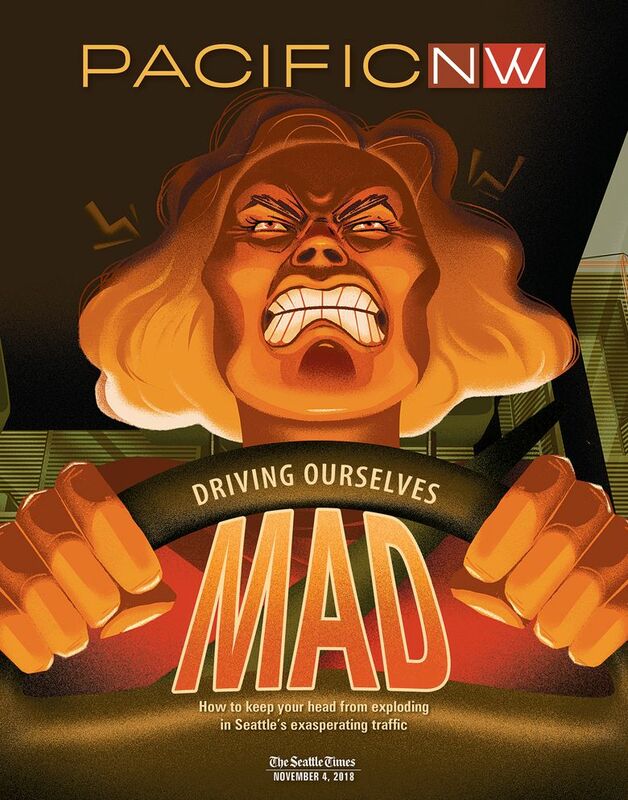 But I’d like to think my story about the psychological roots of the anger so many of us experience in traffic helped start the regional conversation. Now that thousands and thousands (HUGE numbers!) of drivers have re-examined and rebooted their behavior behind the wheel, a litany of bad behaviors has become a thing of the past: cursing, bird-flipping, tailgating, left-lane hogging, car-pool-lane cheating. We still haven’t quite gotten the hang of those zipper merges, but it’s getting better. How else can I update a situation that hasn’t really changed and probably never will — until self-driving cars allow us to nap and read and paint our toenails on the way to work? But one of the main points of the story was that while you can’t change someone else’s behavior, you can change the way you react. On that score, I see reason for optimism in the dozens of emails and online comments the story elicited. Another driver describes how listening to audio books helps him “chill behind the wheel.” An admitted “Left Lane Lucy” says she no longer parks herself in the passing lane, and feels less agitated as a result. My own commuting life has improved immensely. 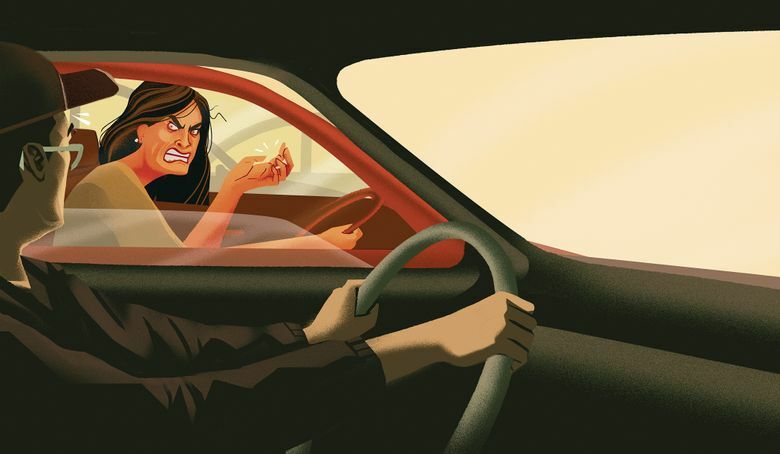 In researching the story, I was struck by studies that clearly show how a bad mood from driving can impact your happiness and relationships, and can even aggravate prejudices. The old me frequently pulled into The Seattle Times parking lot with a burning contempt for my fellow man. I wasn’t sure whether the bus was a viable option, given my job as a reporter, but I decided to give it a try. Now I look forward to my two daily interludes on the C Line. I read or listen to a podcast and arrive at work refreshed. When I do have to drive, I try to let go of my ego, stay out of others’ way and not be a jerk. If civility and sanity do ever prevail on our roads, that’s how it will happen — one person at a time. 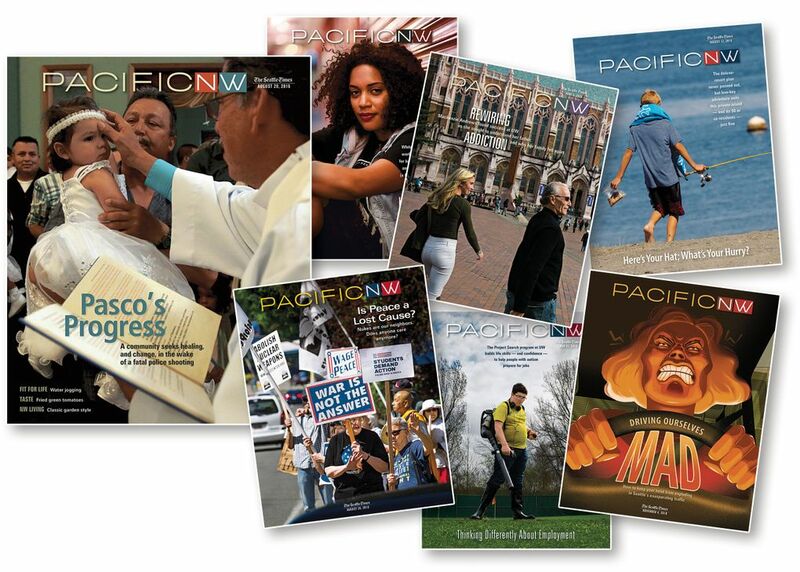 Sandi Doughton is a Pacific NW magazine staff writer. Reach her at sdoughton@seattletimes.com or 206-464-2491. Jennifer Luxton is a Seattle Times staff designer.